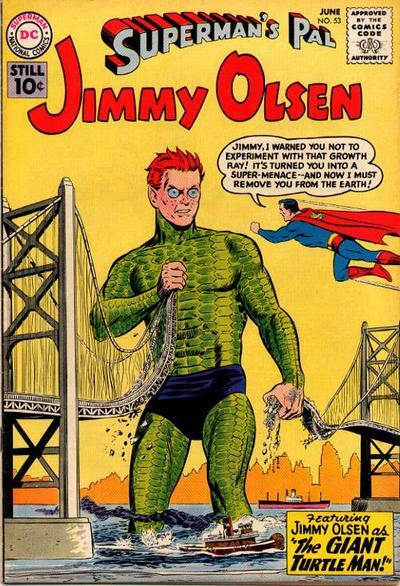 I mean, really, how can you beat Jimmy Olsen as a Giant Turtle Man? It's the entire Silver Age of DC Comics boiled down to one majestically absurd image (which looks like the work of the great Curt Swan to me). 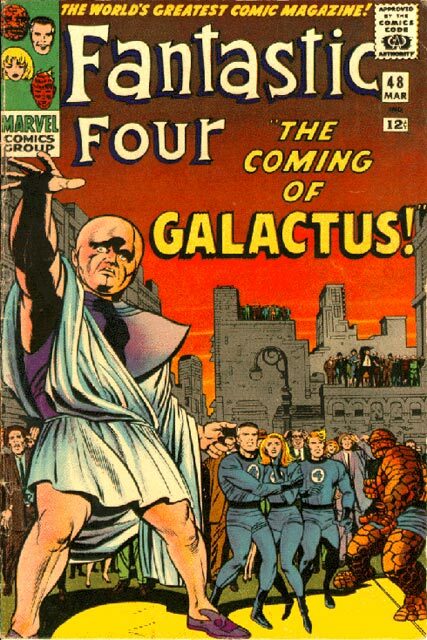 The first time I saw this image—in an ad, before I ever read the issue—my twelve year old mind created my own story to go with it (one I'd love to actually write some day)—and that's what a great cover should do: stimulate the imagination. Make you hungry to see what's between the covers. Don't read this if you're a Lost fan and, for some unfathomable reason, you haven't watched the final episode. That said, nothing I saw last night changed my mind about what an extraordinary show Lost was. Warts and all—and, yes, there were many warts—it was a challenging, thought-provoking, heart-tugging, absolutely amazing ride. As a viewer, and as a writer, I salute Lindelof and Cuse for their achievement. *For instance: Sayid, in life, was a torturer, a stone-cold murderer, who struggled desperately to find atonement. He goes to the Afterlife and what does he do there? He commits murder again. But, y'know, he's a good guy at heart, so he gets to pass on to the Next Level. (And what's he doing with Shannon, a woman he probably knew all of two weeks? Nadia was the love of his life!) Michael kills two people because he thinks it's the only way to save his son, tries to atone for his sins by sacrificing his own life...and he's stuck on the Island (whatever that is, we still don't know) forever as a whispering voice. And Kate's Heaven? Tell me, what was she working out? She was a fugitive on the run. She helped Claire, sure, but she did that while she was alive; in fact she sacrificed everything to go back to the Island, get Claire out and reunite her with Aaron. Her Afterlife served no purpose whatsoever. Okay, okay, I'll shut up now and await your comments. I guess it all goes back to the reason I prefer, by however slim a margin, Lennon to McCartney (and yes I know that this next sentence is a massive simplification): McCartney is like a soothing balm, Lennon is an open vein. I’m just more of an open vein kind of guy. Don’t get me wrong: getting to know Pet Sounds has been a delight and I understand why so many people adore it and, taken in context of its time, consider it one of the best rock albums ever made. Would I put it on the same level as my favorite Beatles albums? No. In fact, I find it hard to compare the two bands at all since, according to what I’ve read, the PS-era Beach Boys really weren’t a band: Pet Sounds was Brian Wilson’s vision, with dozens of musicians brought in to realize it and the other Beach Boys providing Wilson-directed vocal support. The Beatles were the real deal: four guys who played together, wrote together, sang together, held each other’s excesses in check while sparking each other to new creative heights. All that said, the sublime pleasures of Pet Sounds led me to downloading the terrific Beach Boys Classics collection—”Don’t Worry Baby” is a proto-”God Only Knows” and almost as good, “Good Vibrations” is like having all of PS boiled down to one extraordinary track—and stumbling into what may be my favorite Brian Wilson song of them all: “'Til I Die.” Everything exceptional about Wilson’s songwriting, and the Beach Boys as vocal artists, comes together in this gorgeous, deeply sad—and profoundly moving—piece. So please, Beach Boys fans don’t hate me for not thinking Pet Sounds is one of the most staggeringly brilliant musical creations of the past century. Instead, allow me to thank you for turning me on to some exceptional music that I’m sure I’ll be listening to for years to come. I waited, with no small measure of excitement, for this final season of Lost to begin, anticipating an epic finale that would solidify the show’s reputation as one of the most memorable and daring one hour dramas in television history—but so far I’ve found this final chapter hugely frustrating. Don’t get me wrong: with the exception of last week’s Jacob/Man-in-Black origin story (which may have been the worst hour of Lost since the aforementioned Nikki and Paulo: it came perilously close to totally jumping the shark), I’ve thoroughly enjoyed every episode. The writing, the directing, the performances—especially Terry O’Quinn and Michael Emerson, whose Ben-centric episode earlier in the season was a series highlight—have been superb. So why—with the two and a half hour finale just days away—do I feel like I’m headed for a massive disappointment? Even if Cuse and Lindelof fail miserably, it won’t change the fact that this oddball story about a plane crash on a mysterious island has brought me inordinate amounts of joy for six years (joy and, yes, head-scratching, too; but a little head-scratching is good for the soul): It really is a ground-breaking classic. The proof for me lies in the fact that every week, after we’ve digested the show, Cody and I—like two well-practiced surgeons—slice and dice the patient: trading theories, pondering the turns of character, analyzing the broader Meaning Of It All. Just this morning I was talking to a friend and we must have spent forty minutes dissecting the series, speculating on how the ending will play out. Not a lot of television can stimulate the mind like that, let alone inspire that level of passion. Over at Comic Book Resources, there's an interview with Keith Giffen and some other guy about their run on DC's Booster Gold (the first issue of which came out yesterday). And Jazma Online is running an interview with yours truly, focusing on Ardden Entertainment's Casper relaunch (the second issue of which—finally!—arrives in stores this month). Okay, I've run out of hype. We now return to our regularly-scheduled program. Can someone explain to me how a decades-old song that you’ve heard dozens—perhaps hundreds—of times can suddenly come alive in a whole new way and completely capture your soul? I was twelve when “God Only Knows” came out. It took me forty-four years to get it—but, wow, did I ever.